Small and large businesses alike are looking for ways to cut costs and increase efficiency. The number of tasks required from management in the running of a business can be overwhelming, and one customer service item that can be easy to check off of a list is dealing with product shipping. Whether you’re running an ecommerce business or shipping products from your stone and mortar storefront, you have several options that may save you time and money, and still provide you with the effectiveness you would want and expect as a consumer yourself. Quick cost comparisons need to consider many options, including weight, timing, package size and weight, domestic vs. international shipping, and shipping volume over time. Drop shipping as an option. If you haven’t considered it, drop shipping might be an option for your business, especially if you want to consider scalability. If your store has staple products that it can purchase from a third party and have shipped directly to the customer, this process may be right for you. Drop shipping means that you will not concern yourself about paying for warehouse storage or supervising the shipping operations, and you will be free of accounting issues regarding the tracking, loss, or recovery of inventory. You will also free yourself from responsibility for handling returns, ordering products or personnel for warehousing, or managing your stock level. Not purchasing inventory, dealing with product development, or finding custom shipping boxes for your products means that your overhead expenses will be kept low. Most successful drop shipping ecommerce businesses are run from with a laptop for less than $100 per month. Because you can utilize many providers, your overnight drop shipping business can offer a wide array of products with minimized shipping logistic issues to places all over the world. Remember that you will need to source from multiple warehouses to ship in a timely manner, but, in general, this shipping option provides you with a great deal of flexibility, from dealing with costs to choosing items to sell to getting the best deal on order fulfillment to working with international shipping companies. If your business sells products you develop yourself, you may find that USPS is the most economical and efficient for your small startup. USPS offers different pricing tiers, depending on the volume you ship with them. While smaller businesses may find it best to utilize a traditional tier, companies that have a higher volume of shipments might want to consider commercial pricing. Calculations based on shipment weight and zones allow bigger businesses to make customized choices, but only in priority mail and flat rate domestic boxes. International shipping will require a bit more effort if you opt for USPS. The list of countries that has access to ePacket is continuously expanding, but it is not available all over the world. Still, epacket delivery and tracking can make shipping to companies on the list faster, more efficient, and more affordable for customers to receive their purchases from online stores. Despite this, USPS makes the best sense for ground, priority, and express services for small businesses, especially for domestic sales. FedEx and UPS as options. Most businesses will find that FedEx and UPS may be cheaper if your business ships heavier and larger items. Ground shipping of a package over five pounds is several dollars cheaper with FedEx than with standard USPS, and its services have guaranteed delivery dates that are often faster. The weight limit for FedEx is also twice as much as the weight limit for USPS. Using the FedEx tool for rates and transit times is one way to project costs so that you can more clearly determine what will be the best, cheapest, and most efficient shipping option for your particular product. FedEx and UPS also have next day service. While USPS Express mail indicates it has next day delivery guarantees, the truth is that USPS does not have a morning delivery time. 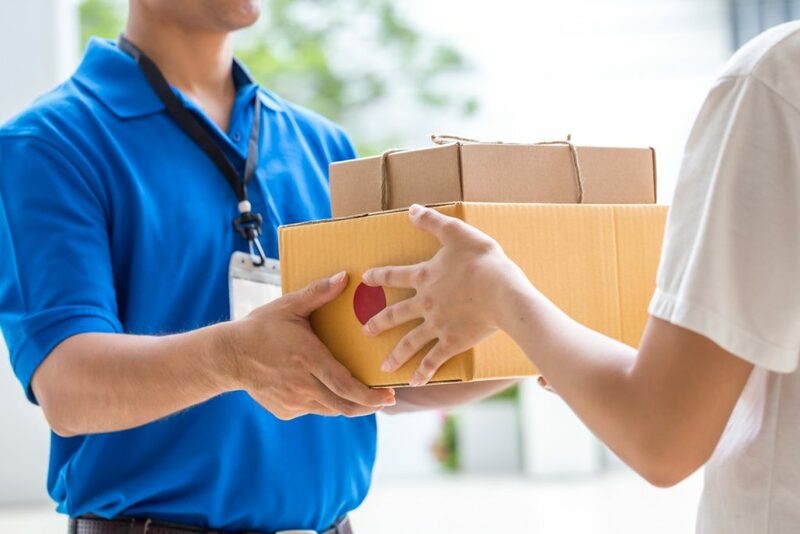 If the package arrives after business hours, your package will not have technically arrived “next day.” The two-day delivery window may not provide the kind of customer service your small business wants and needs, so if next day service is required, FedEx or UPS are the better choices. Sometimes an external shipping platform or a shipping app will reduce the amount of aggravation and stress related to making shipping decisions. Allowing a company to deal with your shipping logistics will eliminate a great deal of work, even if it comes with an added cost. What are some tips you have for small business shipping? Please feel free to leave your suggestions here.